“It will look nice over my new muslin skirt, and the sash will set it off beautifully. I wish I hadn't smashed my coral bracelet, for you might have had it,” said Jo, who loved to give and lend, but whose possessions were usually too dilapidated to be of much use. observations: The whole book is, strangely, based on the structure of Pilgrim’s Progress, and this chapter is ominously called 'Meg Goes to Vanity Fair'. 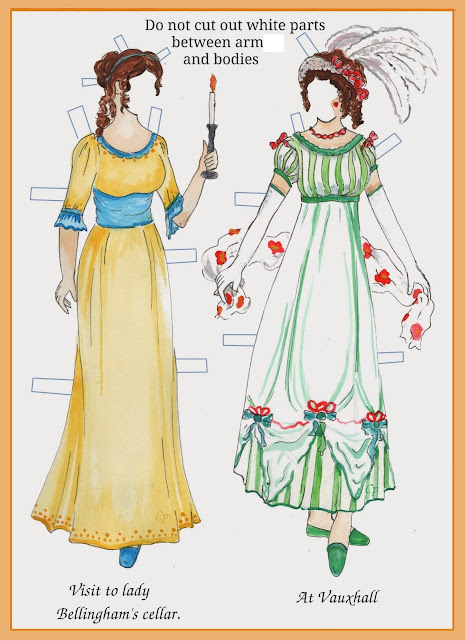 She is going to be shown to be far too interested in clothes, and allow herself to be dressed up ‘like a doll’ by her hostesses, and is ‘in a fair way to have her head turned’ – so that’s going to be a whole other blog entry, when we find the right illustration. Louisa May Alcott is a bit of a cheat here, busy describing lots of clothes in their glory, before saying how shallow and uninteresting they are. Links up with: Little Women has featured before (and certainly will again), and LMA’s book Eight Cousins, obsessed with clothes, has a record three entries – one here, with links to the others – but then all Alcott entries on the blog have proved very popular with readers. In one of the Hunger Games entries, we noted the similar trick of disapproving strongly of an interest in clothes, but making sure to feature them very fully for less Puritan readers. Do agree with the comment about LMA being lavish with the description, but then pointing out how frivolous and vain it is to care about appearance. But when I read the book 'way back in my youth, I was utterly entranced by the idea of a violet silk gown! Thanks Sarah, and yes, she certainly knew how to appeal to young women. (then and now). LMA was a great believer in 'rational dress' in real life: no corsets, and practical divided skirts. I wondered why she was going to a party in a "tartan" dress! What is it like to have your "head turned", I wonder? yes, tarlatan was constantly puzzling me in books when I was young. (how did we manage before the internet), and then the Tarleton boys in Gone with the Wind didn't help. Ah, if only we could have had our heads turned. 'Worldly' used to intrigue me too. Such a bad thing to be in books, but it did sound rather fun.